I'm a certified food lover, I eat almost anything and everything even with those of diverse cultural roots. But if I could confess one thing related to my love for food - it's that I love having rice in every meal of my day. So, it's suffice to say that american food doesn't appeal to me as much. Although I usually crave for snacks like fries and burgers, they don't make the cut of my top food favorites. 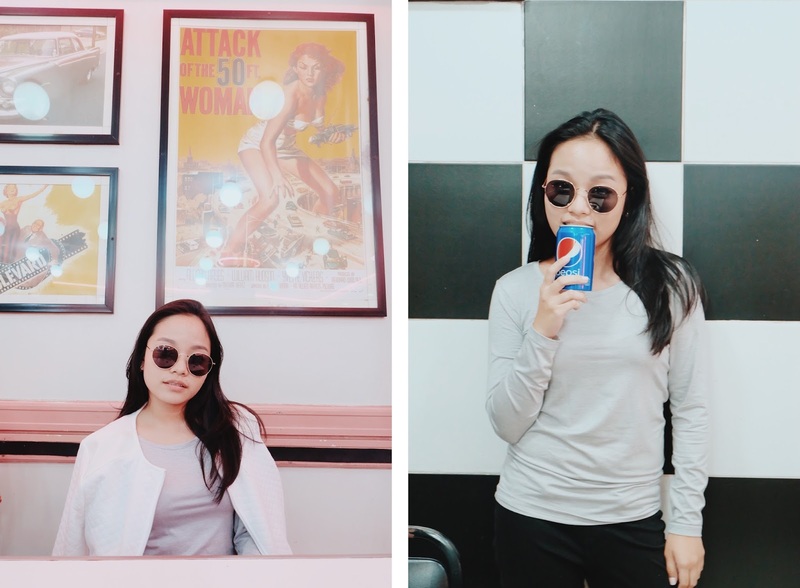 When I heard about the popular 50's Diner in Baguio, I wasn't at all attracted and didn't even thought of putting it in my list. Until our last day, on our way home from Baguio City, everything changed. The traffic in Baguio that day was crazy, so we were really hungry before we could even make it down the mountain. The thing is, 50's diner was right outside my car window; right at the moment of the heated traffic and my stomach crumble. So, I decided maybe I could give this one a try. 50's Diner is an all-american classic diner with the usual neon board signs, black-white checkered flooring, framed blow-ups of the famous 50's stars, and the american staple food. It has three branches in the whole of Baguio City and is said to be the top restaurants for tourist. More than being established as one of the oldest, it's also a perfect place to experience diners as how it is in America. More than that, it's really picture worthy inside, just be creative and pick the right angles! Expect that almost any hour of the day, the diner is full of people and has atleast 15-20 minute waiting time. But don't worry, the servers are quick and friendly. We ordered two of their best sellers. And yes, it didn't disappoint but it didn't raised much of our expectations as well. Prices are really reasonable and affordable too. For the three of us, we manage to snack out for Php 210. Cool, right? I absolutely recommend this place for people who look for budget-friendly restaurants around Baguio City with good food. 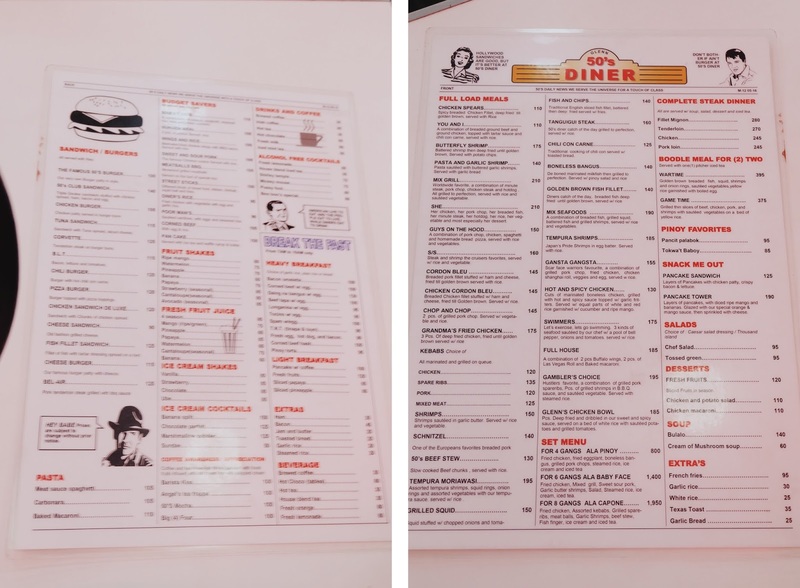 Don't look far, 50's Diner will not disappoint! Overall, I'd give it an 7.5/10! 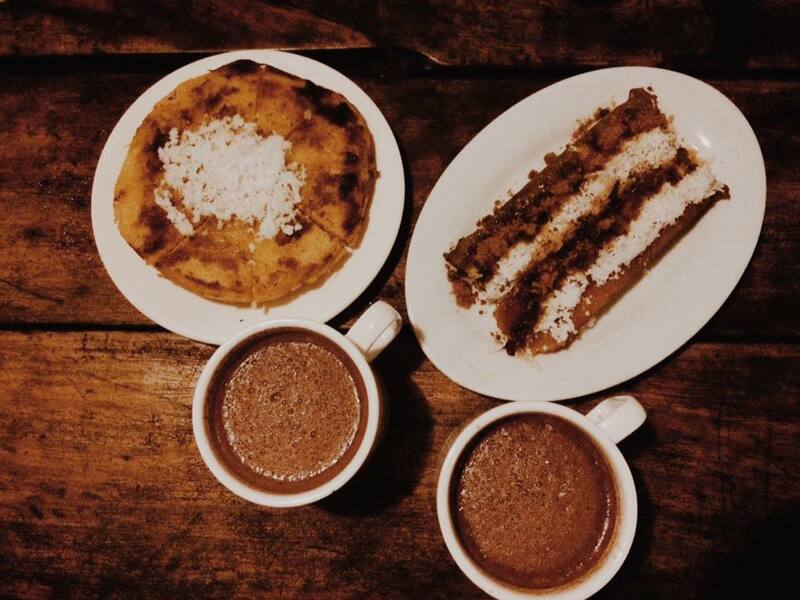 It's a family tradition to eat in Tsokolate de Batirol every time we are in Baguio. It offers one of the best filipino dishes I've tasted and probably one of the simplest yet coziest food hub there is. The Tsokolate de Batirol is located on a small garden near the Igorot's Garden and Baguio Country Club. Though it's hard to see the restaurant itself, you'll surely notice it because it usually has long lines and a lot of cars surrounding the area waiting for available parking. Their Tsokolate de Batirol is perfect anytime of the day for the breeze Baguio has been offering it's people. The restaurant may be small, but it is so comfy inside and has a band/singer during the night (on holidays/weekends). Christmas is the season of bibingkas, suman sa lihia, and putobungbong for filipino families. It's a popular treat available during Simbang Gabi. So if you ever find yourself in Baguio on a cold Christmas day, line up at Tsokolate de Batirol for their siganture bibingka, suman, and putobungbong. Bibingka is a traditional rice cake cooked with butter and salty egg on top in a banana leaf while Putobungbong is a native snack made from sticky rice topped with brown sugar and coconut. The suman sa lihiya is also made from a sticky rice topped with latik sauce or sugar. Our favorite is their Sinigang and Caldereta. All of which are the perfect version of this traditional filipino cuisine. I do not know how to describe it but it's super tasty and well-balanced! Overall, I'd give them a 8.5/10. Hill Station, awarded back-to-back as one of Asia's Finest Restaurants by the Miele Guide 2011-13, is a popular and the top restaurant in Baguio City. It offers a wide variety of Philippine regional cuisines, and continental dishes alike. They say that if you'd like to get a taste of Europe, America, and Asia, then Hill Station is the best place to dine yourself in. We ordered a Salad, Calamares, Paella, and their House Specialty Chicken. I've never tasted a marinated chicken as good as this one that I don't know how could I gastronomically describe it. I think it's marinated with a lot of herbs and spices put together. It actually topped my favorite Itallianis chicken of all time! I'm no paella person, but I love their version of this dish. It's balanced to the point that the flavour and spice really go well together (unlike what I've tasted a few years back). This ice cream palette cost us Php 180. It may be pricey, but their ice cream is home made and has unique flavors. I'm sorry I forgot the flavors of each one but I remembered a few like salted caramel and mango rum. They may get a little pricey, but every thing here is gastronomically indulgent. With all the staff smiling and waving at your service, you'll never leave this place disappointed nor sad. Truly, it's one of the most pleasurable dining I've had in the city. Overall, it's a 9/10 for me! The traffic was crazy so we decided to eat first. So, we we're driving around town, and saw this small steakhouse along Upper Session Road and thought that we should try this out. I didn't expect much of this place since it isn't that popular and a few have reviewed about this place. But this has got be a one of the most inexpensive food hubs to eat steaks with good quality and delicious servings. We ordered two honey garlic chicken and a salisbury steak. I can say that the prices lives up to the serving and a well-cooked food. The Honey-Garlic Chicken is the perfect blend of sweet and salty, it probably tasted like Bon Chon's only that the chicken meat of Daddy Chief is more juicy. The Salisbury steak is the usual salt and pepper grilled steak, with gravy as a sauce. There are a lot of restaurants that offers steak, but I can say that Daddy Chief will not lose the race. Overall, I'd give it a 7/10. +1 point for the very friendly staff! 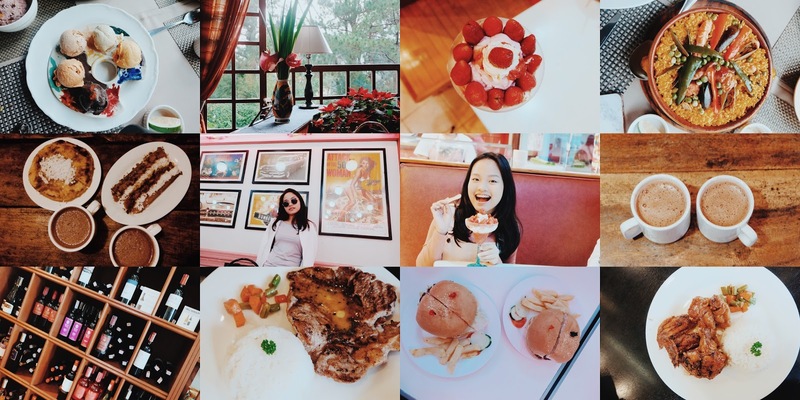 1 comment on "Where to eat in Baguio: 50's Diner, Tsokolate de Batirol, Hill Station, Daddy Chief"
BAGUIO is the great place to visit and they really have many good restaurants, I will love to visit any of these soon. Thanks for posting great collections of foods.